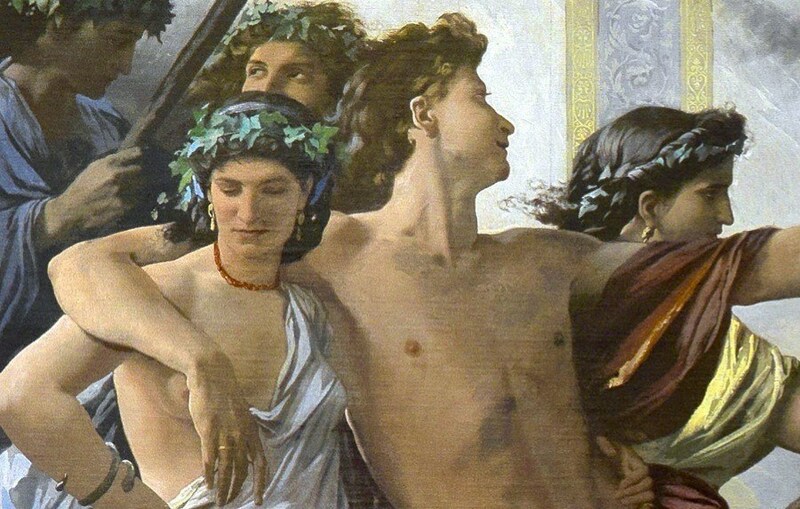 The Crazy And Charming Theory Of Love In Plato's "Symposium"
Taking place thousands of years ago, Aristophanes' theory on love is more sophisticated and progressive than a lot of modern politicians. 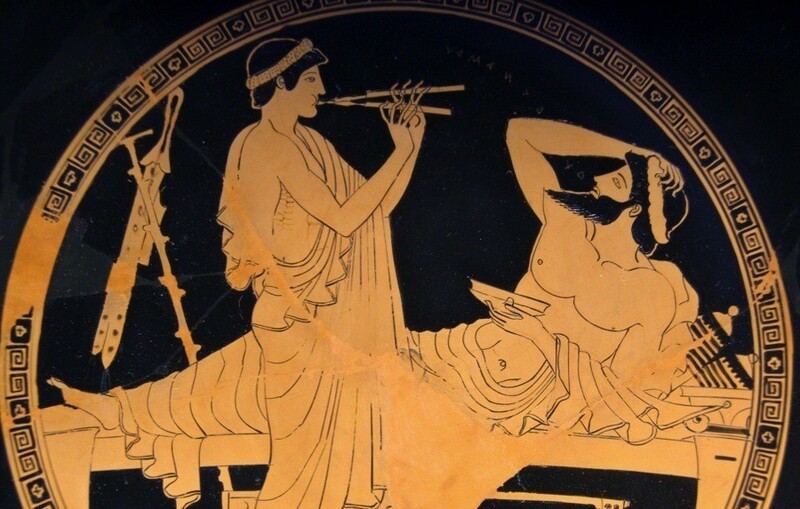 Written 2,400 years ago, Plato’s philosophical novella, Symposium, includes one of the weirdest – and most charming – explanations of why people fall in love ever invented. Plato gives this trippy exegesis to the playwright Aristophanes, who appears as a character in the book. Before turning to Aristophanes’s odd speech, let’s set the stage. First, we’re at a dinner party. Wealthy Athenian men have gathered, as they often did, to drink wine, eat, philosophize, and carouse with women, younger men, or each other. On this (fictional) occasion, the guests are all playwrights and philosophers and they include Plato’s idol Socrates. As the night progresses, the conversation turns to the meaning of love. In the Greek world, two-and-a-half millennia ago, writers and thinkers often viewed love with suspicion because it aroused passions that could drive a man to abandon responsibility, obsess, and/or go mad. But the guests at this symposium seek to find what is praiseworthy about love. One man says it makes lovers brave, particularly homosexual soldiers who serve alongside each other in the army; their love would make them more valiant than the loveless. Later Socrates suggests that learning to love is a step toward discovering higher beauty and truth, such as offered by philosophy. The most memorable speech of the night – and the strangest – comes from Aristophanes. After recovering from a bout of hiccups, the playwright starts his speech. Instead of an intellectual discourse, he tells a story, a myth of the origins of love.